Animal Testing | "OUR WORLD"
Less than a week after the Humane Society of the United States (HSUS) released the disturbing report that 36 beagles were being force-fed a fungicide in a test commissioned by Coreteva Agriscience, a division of Dow DuPont, the company announced it will end this terrible study. All the surviving beagles were scheduled to be euthanized in July. Their organs would then be removed and examined for any damage from the fungicide. This study is horrible for many reasons. For one thing, it does not replicate how Adavelt would be ingested by humans. Even worse, the United States government hasn’t even required this test for over 10 years, ever since scientists realized it provides no worthwhile information. Corteva Agriscience said it had to conduct the test—which it admitted was unnecessary—to meet a Brazilian regulatory requirement. However, Brazil’s pesticide authority, ANVISA, told the HSUS it will waive the test for companies that don’t want to conduct it. At Corteva Agriscience’s request, ANVISA sent a formal, written version of this policy to the entire Brazilian pesticide industry. But Conteva Agriculture refused to stop the test until the industry received confirmation that it was no longer required. If that confirmation took longer than four months, those beagles would die in July. The HSUS and Humane Society International (HSI) have been working for months to make Corteva Agriscience end its cruel fungicide test and release the beagles, so they can find loving homes. More than 122,000 people signed HSUS’ petition on Care2 making this demand. On March 18, just six days after the HSUS released its report, Corteva Agriscience announced it had secured a waiver from ANVISA and had immediately ended the test. The company promised it would make “every effort” to rehome the beagles. The surviving beagles owe their lives to the efforts of the HSUS and HSI, as well as everyone around the world who urged Corteva Agriscience to stop the test. Here’s hoping the HSUS is successful again in finding loving homes for every one of these survivors. Creating a Care2 petition is easy. If you have an issue you care deeply about, why not start your own petition? Here are some guidelines to help you get started, and soon the Care2 community will be signing up to support you. Demand Congress defund-kitten slaughterhouses, and the incinerations, and adopt out the survivors! KITTEN Act. Today, Procter & Gamble joins the Humane Society International #BeCrueltyFree Campaign, to ban animal testing for cosmetics in all major global beauty markets by 2023. The #BeCrueltyFree campaign was launched in 2012 with the aim of extending the European Union’s legal precedent – banning cosmetic animal testing and the sale of newly animal tested cosmetics – to countries where this practice is still allowed or even mandated by law. P&G’s support for #BeCrueltyFree will include joint education and capacity-building programs for non-animal alternatives, continued development of new animal-free approaches to safety assessment, and advocating for the legislative end of cosmetic animal testing in key global beauty markets. For over two decades, P&G, HSI, HSUS, and the Humane Society Legislative Fund have collaborated on the development and regulatory uptake of animal-free testing methods. The organizations expect that by bringing their complementary strengths together, they will reach the end goal more quickly. A key focus will be gaining acceptance of new methods by regulators and enrolling many companies and governments globally to adopt cruelty-free public policies and practices. P&G’s brands include: Always, Bounty, Charmin, Crest, Dawn, Downy, Febreze, Gain, Gillette, Head & Shoulders, Olay, Oral-B, Pampers, Pantene, Tide, Vicks, and more. Each move to ban animal testing for cosmetics is an important step forward to ending the cruel and unnecessary practice, everywhere! In 2018, Social Compassion In Legislation and Physicians Committee for Responsible Medicine co-sponsored Senate Bill 1249, the California Cruelty-Free Cosmetics Act, with the support of Peace 4 Animals and World Animal News. The historic legislation signed into law last October will make it unlawful for cosmetic manufacturers to sell any cosmetic in California if the final product or any component of the product was tested on animals after January 1, 2020, with some exceptions for regulatory requirements. There’s no such thing as humane classroom dissection—because animals, dead or alive, are never ours to use. They can’t consent to donating their bodies to “science,” and certainly, none of them would be willingly drowned, poisoned, or forced to endure any other kind of horrific and painful death for your classroom activity. Cruel dissection-specimen supply companies exist because schools order dead animals for students to cut into. When enough students know the truth and refuse to dissect animals, this cruelty will end—supply can’t persist without demand. Ready to take a stand against animal dissection? Order these free materials. You’ll receive 15 dissection leaflets and a sheet of our new stickers! PETITION: All fields in bold are mandatory. In another published paper, Mysore describes how he put the owls in a restraining tube so that they would be prone—an unnatural position for them—and then screwed the bolts connected to their skulls into a “stereotaxic device” so that they couldn’t move their heads. A news release from the university now claims—without evidence or rationale—that understanding neural activity in barn owls could pave the way to developing therapies for attention deficit hyperactivity disorder (ADHD) in humans. Say what? Looking at the neural responses of trapped barn owls—whose skulls were cut open—to dots on a screen or noises blasted through earphones offers no insight into human ADHD. Even if it did, it’s too cruel to be allowed. In addition to its transparent cruelty, the use of animals in experimentation has proved an unqualified failure. The evidence is overwhelming that data from experiments on animals can’t be reliably applied to humans. NIH itself acknowledges that 95 percent of drugs that test safe and effective in animals fail in humans because they don’t work or are dangerous. And a review in the prestigious medical journal The BMJ reported that more than 90 percent of “the most promising findings from animal research” fail to lead to human treatments. Please urge NIH not to squander taxpayer dollars on Mysore’s cruel and worthless experiments on owls and instead to redirect funds to modern, superior, non-animal research methods. Prominent beauty brand, Unilever, announced its support today for a global ban on animal testing for cosmetics as part of an ambitious new collaboration with the Humane Society International (HSI). Known for such popular brands as Dove, Degree, and TRESemmé, Unilever is the second largest beauty company globally and the first among the sector’s “top 10” to actively support legislative reform to prohibit animal testing for cosmetics. The organizations hope that this new collaboration will accelerate policy change in the cosmetics sector globally toward a shared goal of animal testing bans in 50 major beauty markets worldwide by 2023. “Animal testing for cosmetics has been banned in the EU since 2013, and we hope that an adoption of similar bans in other countries will accelerate the regulatory acceptance of alternative approaches and thereby remove any requirements for any animal testing for cosmetics anywhere in the world,” David Blanchard, Chief Research and Development Officer at Unilever, explained in a statement. Unilever announced its support for Humane Society International’s #BeCrueltyFree campaign which is aimed at banning animal testing for cosmetics across the globe within five years. Unilever’s support includes an ambitious new collaboration aimed at accelerating regulatory acceptance of modern, non-animal approaches to consumer safety assessment. As a further demonstration of its commitment, Unilever also announced today that Dove, its largest Beauty and Personal Care brand, has gained accreditation by People for the Ethical Treatment of Animals (PETA). Dove’s cruelty-free status has been granted in recognition of the brand’s commitment to not conduct any tests on animals anywhere in the world. PETA’s cruelty-free logo will begin to appear on Dove packaging from January 2019 to assure customers that Dove does not, and will not, test on animals. PETA will also now list Unilever as a ‘company working for regulatory change’, which indicates that Unilever conducts no tests on animals unless specifically required by law for any of its brands or products. Across the globe, lawmakers in 37 countries so far have already enacted legislation to fully or partially ban animal testing for cosmetics. HSI played a key role in securing enactment of the final phase of the EU ban in 2013, and in subsequent victories in India, Taiwan, New Zealand, South Korea, Guatemala, and seven states in Brazil. Today HSI and its partners are driving forward 10 more legislative efforts in Australia, Brazil, Canada, Chile, Mexico, the Philippines, South Africa, Sri Lanka, Vietnam, and the United States. Animal tests carried out in the cosmetics sector include eye and skin irritation experiments, in which a cosmetic product or ingredient is rubbed onto the shaved skin or dripped into the eyes of rabbits; skin allergy tests using guinea pigs or mice; and force-feeding studies that last weeks or months. These tests inflict considerable pain and distress, which can include blindness, swollen eyes, sore bleeding skin, internal bleeding, organ damage, convulsions and death. Pain relief is seldom if ever provided, and at the end of a test the animals are killed, normally by asphyxiation, neck-breaking or decapitation. Take the global pledge here: https://worldanimalnews.com/breaking-worlds-2nd-largest-beauty-brand-unilever-announces-unprecedented-move-to-help-support-global-ban-on-animal-testing-for-cosmetics/! Help us continue to bring you the latest breaking animal news from around the world and consider making a Donation here: https://worldanimalnews.com/breaking-worlds-2nd-largest-beauty-brand-unilever-announces-unprecedented-move-to-help-support-global-ban-on-animal-testing-for-cosmetics/! Artificial Intelligence may Replace Testing of Live Animals – FIREPAW, Inc.
Great news coming out of the scientific – based tech world today: The use of laboratory animals to test drug safety may be replaced by computer models and artificial intelligence(Al). It turns out that Al results can be even more accurate and reliable then real animal tests. We may finally be getting ready to turn the corner on the use of live animal testing. You wouldn’t want a doctor who had been trained using the antiquated methods of the past, would you? Well then, you may want to avoid the medical professionals participating in the Advanced Trauma Life Support (ATLS) program at Baystate Medical Center in Massachusetts. They are one of only two ATLS training centers in the whole of Canada and the United States that still use animals like pigs to simulate human trauma. The trend has been going out of style for decades, but Baystate has yet to get with the times. They refuse to use more modern methods that are as good or even better than the archaic ways that involved hurting innocent animals. For one thing, pigs and human bodies are not the same, meaning using a pig for the ATLS program doesn’t equip our medical professionals with the best tools available. In 2001, the American College of Surgeons gave the green light to a new technology that would replace the need to use animals — “an anatomical human body simulator, which features lifelike skin, subcutaneous fat, and muscle” known as the TraumaMan System. TraumaMan is so lifelike and realistic that most centers that offer ATLS programs have opted to use them or similar systems. Most, but not all. Instead of leading the pack, Baystate seems to be content with lagging behind almost every other center when it comes to using modern cruelty-free tools to teach their students. They seem to disregard the fact that 99 percent of 300 centers surveyed within the U.S. and Canada have found that they don’t need to use animals for trainings. Please sign the petition and tell Baystate to join the 21st century. Ask them to stop using animals in their ATLS program. Call To Action Needed By End Of Day On Tuesday August 7th. Need Calls, Tweets and Attendance! The opposition (lead by PCPC, Johnson & Johnson, Proctor & Gamble, Estee Lauder) to SB 1249 has “lobbied up.” As one of their lobbyist told us, the big corporations “do not want to be told what to do.” They just want to keep going along – same ole, same ole, needlessly allowing the torturing and killing of over 500,000 animals per year. They have hired over four lobbying firms in just a few weeks to oppose SB 1249. Their ramped-up efforts will not deter us from our goal to end the cruelty of cosmetic animal testing. SB 1249 is a paramount bill, and we are determined to see it signed into law. Below is a list of “Myth vs Facts” regarding the opposition’s talking points. SB 1249 is good for people, business, and the animals! We need you to do 4 things to help us NOW! 1) Call the Appropriations Committee Members and ask them to vote “YES” on SB 1249. Make California’s Cosmetic Market Cruelty-Free by Supporting SB 1249! Animal testing is antiquated, unreliable, and not necessary for safe cosmetics! Stop the torture! Tell @LorenaSGonzalez and @FrankBigelowCA that you want #Crueltyfree #Cosmetics and #YesOnSB1249! 3) Attend the hearing on Wednesday, August 8th at 9am, State Capitol, Room 4202. MYTH #1 – SB 1249 will take away my favorite shampoo because it was tested on animals. False! – Because we are aiming for a cruelty-free cosmetics market in the future, the bill only affects products tested on animals after 2020 or, to meet international requirements, after 2023. All products and ingredients tested on animals before the bill takes effect can still be sold. If a product is found to have been tested on animals after 2020 (or 2023 for testing conducted to meet international requirements) and it is not covered by one of the listed exemptions in the bill, the manufacturer will be fined until it is removed from the market. MYTH #2 – SB 1249 will impact medical testing and development of new therapies. False! – NO. The bill disallows the sale or marketing of new cosmetics and cosmetic ingredients which are tested on animals. It has no jurisdiction over the development or testing of pharmaceuticals, which are governed by Food and Drug Administration (FDA) guidelines and requirements specific to those products. SB 1249 does not govern any medical testing taking place at universities, research institutes, or the National Institutes of Health. Just to be safe, the bill specifically exempts products or ingredients tested as a result of a requirement by the FDA or by California’s Department of Toxic Substances Control. MYTH #3 – SB 1249 will pose an economic burden on California companies. be a job creator. Alternative methods of testing, not only for cosmetics, but for other industries is a growing sector. SB 1249 will make California the epicenter of alternative testing in the United States. MYTH #4 – A cosmetic manufacturer will be punished because an ingredient in their product is also used in a pharmaceutical product subject to animal testing. False! – SB 1249 has 2 major exceptions which make this a false claim. Subdivision c(1) of SB 1249 creates an exemption for any cosmetic testing required by the Federal Drug Administration or California Department of Toxic Substance Control. Further, subsection c(3) allows for testing that is required by a state, federal, or foreign regulatory body so long as that testing is not for cosmetic purposes and the ingredient is already in use for cosmetics. Thus, testing required by a governmental authority for pharmaceuticals, drugs, pesticides, etc. will not punish cosmetic manufacturers. MYTH #5 – This bill would ban the sale of a product if someone, somewhere in the world, unknown and unknowable to the manufacturer, tested it on an animal. False! – That is patently false. SB 1249 creates a “knowingly” standard in subsection (a) of the law, which states, “…it is unlawful for a manufacturer to knowingly import for profit, sell at retail, or offer for sale or promotional purposes at retail in this state, any cosmetic if the final product or any component thereof was tested on animals for any purpose afterJanuary 1, 2020.” Thus, manufacturers are not liable when they had no knowledge of the animal testing that took place outside of their scope of influence. Further, the exceptions discussed above are another layer of protection for cosmetic manufacturers for testing done for non-cosmetic purposes even when all parties are aware of the testing. Thank you for helping with our grassroots campaign. Please help us to continue to save animals. Please donate today, we need additional financial resources to get this done! Together, let’s take a stand to finally ban cosmetics testing on animals everywhere. JOIN OUR FOREVER AGAINST ANIMAL TESTING CAMPAIGN BY SIGNING THIS PETITION. We were the first global beauty brand to fight against animal testing. Over the last three decades, we’ve worked with our campaign partner Cruelty Free International and our collective efforts helped lead to a European Union ban in 2013. But that isn’t enough. Animals continue to be used in testing, and we want to end this practice everywhere and forever. Please tick to sign-up to regular email newsletters and to stay up to date on the petition, new products and exclusive offers from The Body Shop. SB 1249, the CA Cruelty-Free Cosmetics Act, is two steps away from the governor’s desk and becoming law in the fifth largest economy in the world. Unfortunately, Johnson & Johnson, Procter & Gamble, L’Oreal, Unilever, Avon, NARS Cosmetics, Revlon, M.A.C., and Mary Kay Cosmetics are among the companies that are opposing the passage of the law that will save hundreds of thousands of animals from needless torture and death every year. The companies have hired an army of lobbyists that are currently meeting with every assembly member’s office and lying about what our bill does and what the effects of it will be. Help Us Help These Poor Innocent Animals! Call Assembly Judiciary Committee Members Now Through June 25th To Let Them Know That Californians Do Not Want Their Cosmetic Products Tested On Animals No Matter Where In The World The Testing Takes Place! The next Capitol hearing is set for June 26, 2018, at 9:00 am, Room 437. If possible, people are also encouraged to attend the hearing. Help us NOW by calling each member of the committee urging their support and not to be persuaded by the opposition spin! Tell them to vote yes on SB 1249! WAN is thrilled that Virginia passed legislation to require that cosmetics and personal care product manufacturers or contract testing facilities use alternative methods to testing on animals. Virginia became the fourth state in the country to enact this important legislation when Governor Ralph Northam signed HB 1087, which was introduced by Delegate Jennifer Boysko into law. California, New Jersey, and New York also have such laws in place. The California Cruelty-Free Cosmetics Act, SB 1249, was introduced in the California State Legislature by Senator Cathleen Galgiani earlier this year. This important bill would prohibit the sale of animal-tested cosmetics in the state, it is sponsored by Social Compassion in Legislation (SCIL) and the Physicians Committee for Responsible Medicine (PCRM), and supported by Cruelty Free International and Lush Cosmetics. This ground-breaking legislation would make it unlawful for any cosmetic manufacturer to knowingly import or sell any cosmetic, including personal hygiene products such as deodorant, shampoo, or conditioner, in the state of California if the final product or any component of the product was tested on animals after Jan. 1, 2020. A violation would result in a fine of up to $500 for the first violation and up to $1,000 for each subsequent violation. WAN and Peace 4 Animals have joined forces with our partner Social Compassion In Legislation, one of the main sponsors of the bill, to help push this important legislation forward and make it the first law of its kind for cruelty-free cosmetics in the state of California. Twenty-first-century science is rapidly moving away from outdated animal tests and these new cruelty-free cosmetics laws being proposed requires the use of available methods that avoid animal testing or reduce the number of animals used for the testing of products. Many effective alternatives to animal testing now exist, including 3-D printing, construction of artificial human tissue, and the generation of sophisticated computer programs that can make accurate predictions about chemical safety. With these sophisticated technologies comes improved and more predictive information on the safety of chemicals and other products. The new law in Virginia does not apply to testing done for medical research, including testing of drugs or medical devices, nor does it prohibit the use of animal tests to comply with requirements of state or federal agencies. The new legislation authorizes the Attorney General to bring a civil action to enforce such provision. Any person who violates the law may be subject to a civil penalty of up to $5,000, as well as court costs and attorneys fees. You can help support the Cruelty-Free Cosmetic Act and learn more about what you can do to help California become the next state to pass this important legislation by clicking here http://worldanimalnews.com/victory-while-virginia-becomes-the-4th-u-s-state-to-pass-anti-animal-testing-legislation-for-cosmetics-help-us-ensure-that-california-is-next/! One hundred dead kittens a year. That’s the price we are paying for a taxpayer-funded experiment that feeds kittens infected meats and then monitors their response. The kittens barely get a chance at life, as the experiment uses cats that are less than three months old. According to a recent exposé, the majority of the kittens are perfectly healthy, even after being forced to eat spoiled meat. After they are no longer “useful,” lab workers kill them and burn their bodies. The U.S. Department of Agriculture (USDA) has tried to defend themselves by saying the number of kittens reportedly killed in the tests has been overestimated. But, even if one kitten dies, it is too many. There is something very wrong when the U.S. government is trying to infect poor helpless animals, and then, if by some miracle they survive, they are killed anyway. 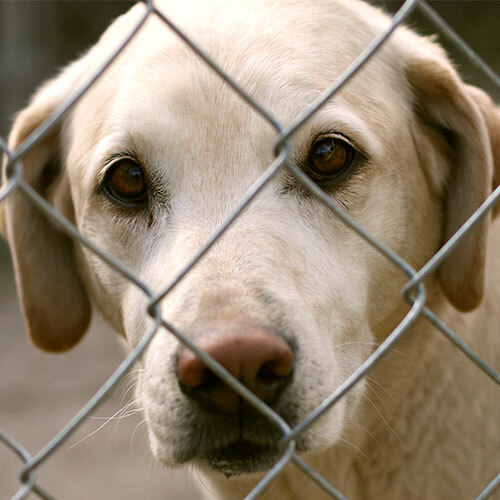 The lab conducting the cruel tests is located in Maryland, a state, which just last month, passed the “Beagle Freedom Bill.” The law that requires all labs to work with willing animal rescue organizations to find homes for pets once they are no longer needed. The bill also protects cats. However, the Beagle Freedom Bill may take time to go into effect and these hundreds of kittens need our help today. That’s why Care2 is calling on the USDA lab in Beltsville, Maryland to immediately stop euthanizing their kittens and instead rehome them. Please help us find these kittens a new home. 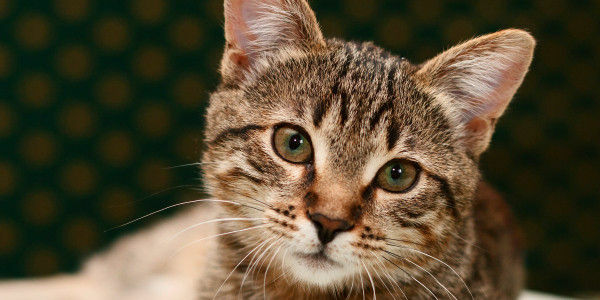 Sign the petition and demand the USDA stop killing these kittens. Paid for by the White Coat Waste Project, Inc., EIN 46-0856543 a. White Coat Waste Project is a 501(c)(3) bipartisan coalition of 400,000+ liberty-lovers and animal-lovers opposed to the government’s wasteful spending on animal experiments. Our mission? To stop $15 billion in taxpayer-funded animal experiments. National Review calls it a “refreshing consensus-building argument.” Our work has been profiled by The Washington Post, Science, US News & World Report, FOX News, LA Times, TheBlaze, Associated Press and Daily Caller. Contributions are tax-deductible. After hearing from PETA scientists for the past three years, the Japanese government officially announced this week that it is saying “sayonara” to a gruesome pesticide test conducted on dogs. Imagine being locked in a cage and forced to eat pesticide-laced food or breathe pesticide fumes for a year until you are killed and your body is dissected. That is exactly what dogs undergo in a common test. But now, after receiving documentation from PETA scientists of extensive analyses conducted by experts demonstrating that data from the one-year dog poisoning test are not used to protect humans, the Japanese Ministry of Agriculture, Forestry and Fisheries has decided to stop requiring the use of this test. With the assistance of the Japan Anti-Vivisection Association, our scientists pointed out that numerous governments, including those of the European Union, the U.S., and Canada, have eliminated this test from their pesticide registration requirements after discussions with PETA, sparing thousands of dogs annually. Japan now joins the growing list of countries that have made the right decision for dogs and for science. PETA scientists are also in contact with regulatory agencies in other parts of the world to encourage them to follow suit and are working to end all pesticide testing on dogs and all other animals. Your help will bring us closer to a world in which all animals are regarded as individuals, not laboratory tools, and in which we’ll look back on chemical tests on living, breathing beings as part of a painful, dark past. New York City may become the first U.S. city to ban the sale and import of all new cosmetic products that have been tested on animals. 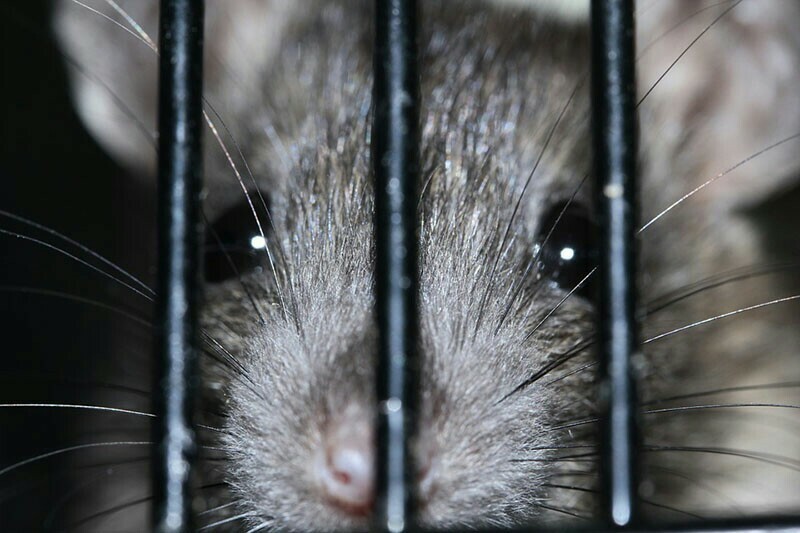 Sign this petition to protect innocent animals from being subjected to cruel and unnecessary testing. 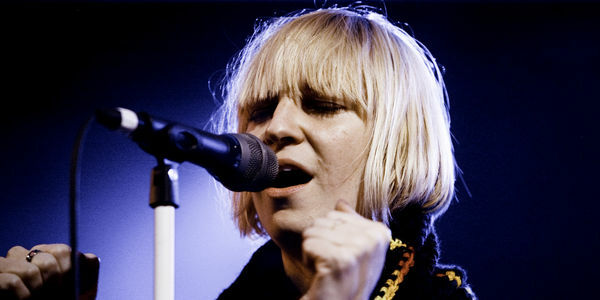 Petition: Sia, Don’t Support MAC Cosmetics – They Test On Animals! MAC usually tries to be cruelty-free, but if they want to sell in China, they have to test on animals. Companies like MAC and NARS should stand up to the Chinese government by refusing to test on animals, this is the only way to pressure China to end this requirement. 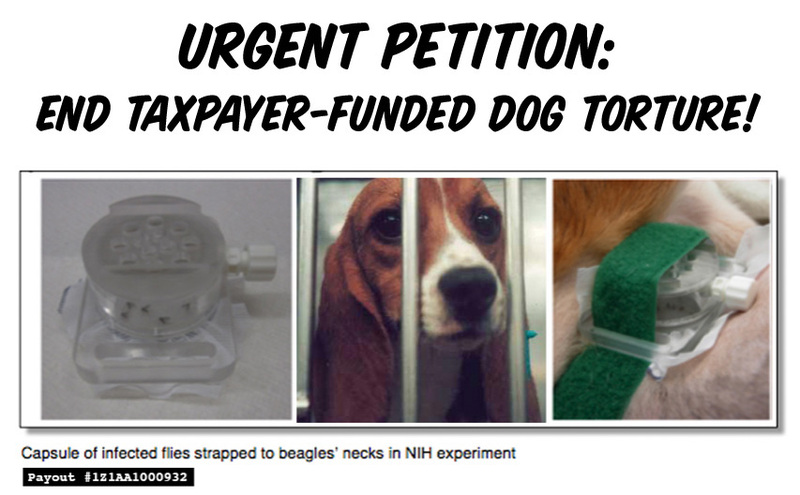 MEET BEAGLE # 2474 She was bitten to death by SAND FLIES infected with a deadly virus in a taxpayer-funded test. Your bill? $ 11.8 million. But you can save the rest of the 1,183 dogs. But only kept alive for 20 hours for “ethical” reasons! Some cats as young as four months old are purchase from suppliers and cut up and tortured in lengthy procedures that go on for hours, this horrific dead-end research has going on for more than thirty years, consuming 7.95 million taxpayer dollars and has not resulted in any treatment for vision disorders. Medical devices are surgically implanted in the dogs bodies. Then they are forced to run on treadmills, while heart failure is artificially induced. There is nothing vegan–friendly about exploiting animals in product testing!